Preheat the oven to 450°. In a bowl, sift the flour with the baking powder, baking soda and salt. Using your fingers, work in the lard just until the mixture resembles coarse meal. Stir in the buttermilk just until moistened. Turn the dough out onto a lightly floured work surface and knead 2 or 3 times. Roll out or pat the dough 1/2 inch thick. Using a 2-inch round cutter, stamp out biscuits as close together as possible. Transfer the biscuits to a baking sheet. 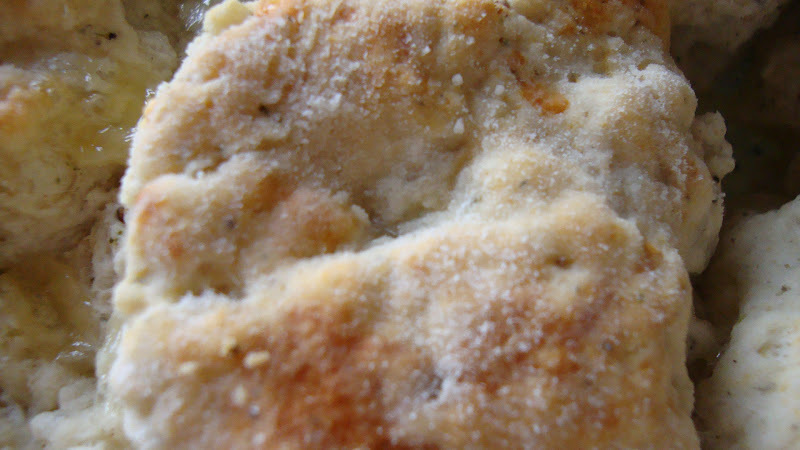 Pat the dough scraps together, reroll and cut out the remaining biscuits; do not overwork the dough. Pierce the top of each biscuit 3 times with a fork and brush with the butter. Bake the biscuits for 12 to 14 minutes, or until risen and golden. Serve at once. Make AheadThe unbaked biscuits can be frozen in a single layer, then kept frozen in an airtight container for up to 1 month. Thaw before baking. NotesTo make your own single-acting baking powder, combine 2 tablespoons of cream of tartar with 1 1/2 tablespoons of cornstarch and 1 tablespoon of baking soda. The mix will keep in a tightly sealed jar for up to 1 month. Back in college, Dave and I had a professor of music named Ann Collins. Now Ann was a fine pianist, a good teacher, and she wrote interesting books (I still have two of them) about teaching preschoolers to play the piano. While I never agreed with teaching preschoolers to play the piano (I liked them playing in the sandbox myself), I did admire Ann. Ann wasn’t my teacher particularly, but she was Dave’s. And somehow, as life went in those days, we ended up for dinner at Ann’s house one night. If memory serves, she was celebrating a new grand piano. While I remember little else, I do remember Ann’s biscuits. Not only that, I remember her husband making big over them. In fact, Ann’s husband (Gary?) said, “I married her because she could make beaten biscuits in her sleep.” To a newly married 20-year old this sounded callous and weird. I don’t know what I wanted to be married for, but it wasn’t my biscuits. Of course, later on, I learned to make biscuits. And I made them a lot. When you have four kids to feed, biscuits really stretch a meal. I don’t think I could have made them in my sleep, but it was damned sure close to that. It takes making them often. It takes a light touch so that the fat isn’t over-worked in the dough. It takes knowing your oven so that you either always make them in a glass pie plate, as did I, or on a cookie sheet as did one friend. It takes understanding if you need big, thick or little, crispy biscuits. Were they for ham or were they for gravy? For butter and jam or for strawberries and cream? For sour cream and honey, if you were my Dad. I’m guessing Edna Lewis, creator of the above recipe, could have made biscuits in her sleep. And while she surely earned the title of chef, she might have been quite happy with the fame that came from her biscuits, as was Ann. There’s just something about biscuits that makes people happy. Ms. (Judith) Jones, who edited three books by Miss Lewis, recalled her yesterday as a lover of Jack Daniel’s, Bessie Smith and understated conversation. “She had a tremendous sense of dignity in the face of often difficult treatment,” Ms. Jones said. Her husband had died as she completed “The Taste of Country Cooking,” she said. 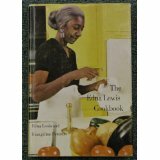 After that cookbook raised her profile, Miss Lewis returned to restaurants, most notably to Gage & Tollner in Brooklyn. In the mid-90s she retired from the restaurant and with some friends, she founded the Society for the Revival and Preservation of Southern Food, dedicated in part to seeing that people did not forget how to cook with lard. Butter? Honey? Jam? Sausage gravy? Ham? And, Edna, I’m sorry; I can’t make biscuits with lard or shortening; butter’s my thing. I do try to have a light hand though. Read Edna Lewis’ obituary in the New York Times here. Video: Scroll down. Biscuits and gravy, though I have never tried them, seems to symbolize the South. To be able to make a good biscuit is an art. Come on to my house, to my house…. I'll make you biscuits and gravy! Where do you live?! What could be more Southern than these? I toyed with the idea of trying to find some lard to experiment with this week, but my good sense got the better of me…thank goodness! 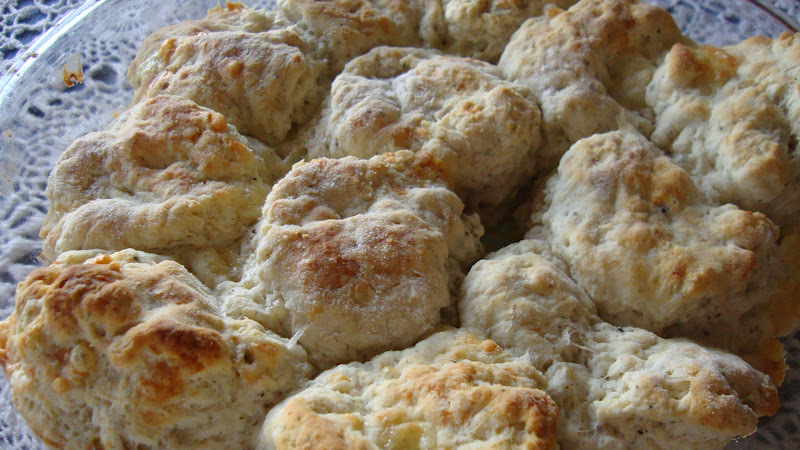 Your biscuits looks marriage worthy! Lard makes them flakier. Butter makes them taste better. What a wonderful recipe you picked for us. Thanks for sharing. Mmm, biscuits and jam are one of my favorite comfort foods and a beef stew just isn't complete without buttery biscuits! You've given us great tips on making the best of biscuits …'just like mama fixed 'em'! LOL that is a funny story about Ann and her husband! I'm sure Edna could have baked these biscuits in her sleep, too! These are definitely on my to-do list 🙂 Great tribute to Edna!